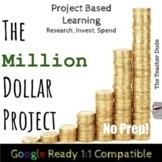 The Million Dollar Project: Project Based Learning Activities! Fun and Engaging! Project explanation hand-out. Students have a budget of $1,000,000 and they need to learn how to budget and subtract from their amount! 3 pages project description, rubric, and expense recording sheet. I have used this as an extension in gifted 2nd through regular 5th grade. Adjust to your needs by allowing a calculator or not. This is a math project that I have given to my students to develop concepts of large numbers and use their basic operations. 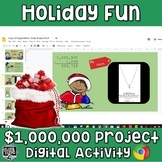 This project was done at the end of the year for our 5th graders in Math. It had them using addition, decimals, and creativity! It was a long and tedious process, but the kids enjoyed doing this very much! 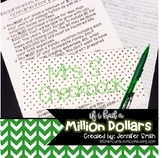 Extra credit/GT/higher learner project for financial literacy about spending one million dollars. Includes researching property tax and calculating sales tax. This is an integrated unit for students in 4th - 6th grade inviting them to plan, present and persuade a panel of humanitarians to give away 1 million dollars to charity. Inventing a product worth a million dollars.